Also serving communities of Winterville. There are 17 Assisted Living Facilities in the Greenville area, with 6 in Greenville and 11 nearby. The average cost of assisted living in Greenville is $3,985 per month. This is higher than the national median of $3,346. Cheaper nearby regions include Tarboro with an average starting cost of $3,300. To help you with your search, browse the 45 reviews below for assisted living facilities in Greenville. On average, consumers rate assisted living in Greenville 3.6 out of 5 stars. Better rated regions include Tarboro with an average rating of 4.1 out of 5 stars. Listed in 2018 as one of the best places to retire in Pitt County, Greenville has museums to explore, golf courses, antique shops, galleries and excellent year-round weather. Seniors who like Greenville and prefer to live in a community of peers where assistance with daily tasks is available will find six ALRs in Greenville and 11 located in areas nearby such as Winterville, Tarboro and Snow Hill. Assisted living communities are referred to as assisted living residences (ALRs) in Greenville, as well as in all of North Carolina. The term ALR covers two types of long-term residential care facilities with two or more adults, including adult care homes (ACHs) and multi-unit assisted housing with service facilities. They are regulated by the Division of Health Service Regulation. On average, Greenville gets approximately 49 inches of rain per year, which is slightly more than the national average. Summers are hot and humid with average highs around 90 degrees, while the average low in the winter is around 32. The cost of living in Greenville is lower than the state and national average, which makes this an excellent place to live for seniors on a budget. When ranked on a scale from 1 (low crime) to 100 (high crime), Greenville ranks 49.7 in violent crime and 68.2 with property crime. Both are higher than the national average. 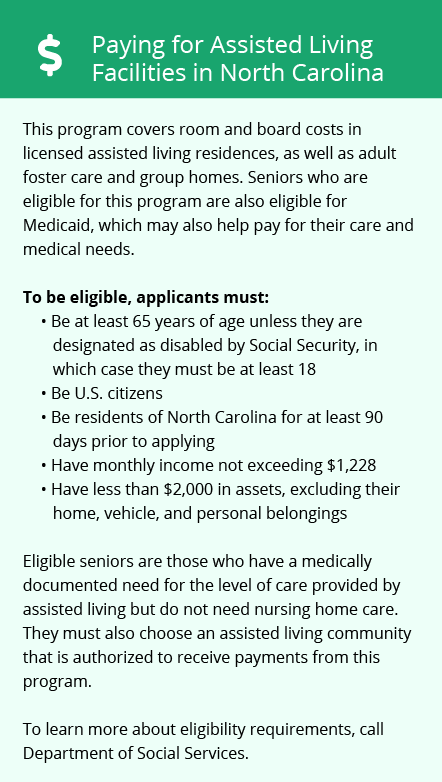 The North Carolina Department of Health and Human Services offers transportation for eligible adults 60 and older to medical appointments, senior programs and grocery stores. The Pitt Area Transit System (PATS) also provides transportation for seniors. The Greenville area is home to world-class medical facilities, including the Vidant Medical Center, in the event of medical emergencies or illness. Greenville has an array of community resources for seniors, including the Pitt County Council on Aging, an organization which connects seniors with activities such as bingo, dancing and college classes, as well as three senior centers. Assisted Living costs in Greenville start around $3,985 per month on average, while the nationwide average cost of assisted living is $4,000 per month, according to the latest figures from Genworth’s Cost of Care Survey. 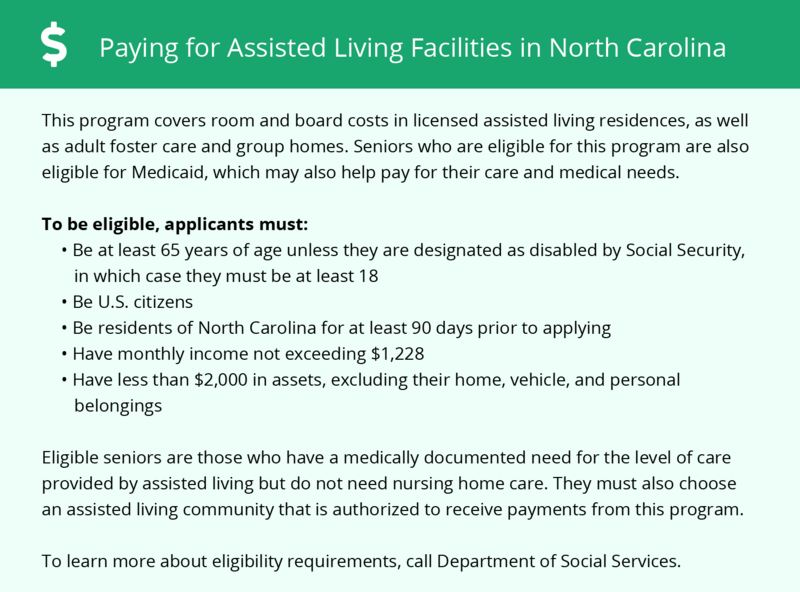 Individuals who need assistance paying for assisted living facilities may qualify for funding through the Medicaid State Plan. Families may also supplement the financial aid with personal funds in order to secure a private room. To see a list of free assisted living resources in Greenville, please visit our Assisted Living in North Carolina page. Greenville-area assisted living communities must adhere to the comprehensive set of state laws and regulations that all assisted living communities in North Carolina are required to follow. Visit our Assisted Living in North Carolina page for more information about these laws.